Amazon Alexa (for all you Apple sheeple out there, she’s Amazon’s version of Siri) wants to be your digital personal assistant. Well, what good is a personal assistant if they can’t make you coffee? Thanks to a forthcoming connected coffee machine, it appears Alexa will have you covered. 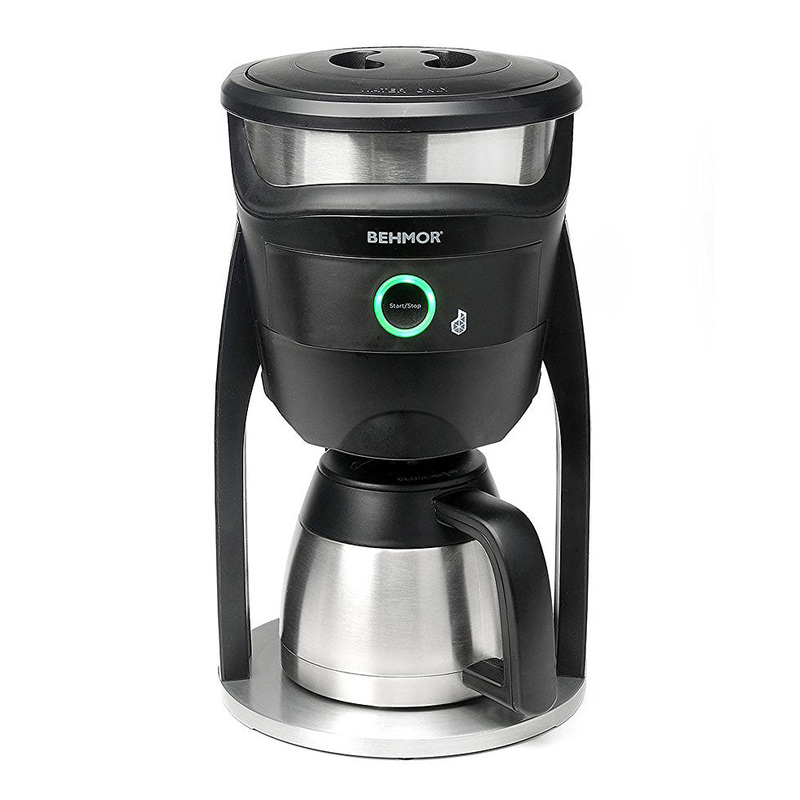 According to techie site CNET, coffee-focused brand Behmor will be integrating Alexa voice command features into its Behmor Connected Brewer. Though users of the fancy coffee machine were previously able to control the device remotely from their phone, operating the newest version of the Connected Brewer will be that much easier for people who use Amazon’s assistant. It will be able to respond to commands like, “Alexa, start brewing my favorite coffee” or “Alexa, is my coffee ready?” when spoken into a compatible Amazon device such as the Echo and Echo Dot. Along with the new Alexa feature, Behmor is also upping the Amazon ante by giving the coffee maker Amazon Dash capabilities – meaning the device will automatically purchase more coffee beans when it senses its running low—currently from Peet’s, Illy, Maxwell House or Brooklyn Bean. Hopefully Alexa won’t be pissed that she’s being kept out of the loop on that one. Fair enough, though I wouldn’t necessarily use the word “passionate” about someone whose preferred method of brewing coffee isn’t something fancy like Chemex but instead lying half-naked on the couch screaming, “Hey Alexa! Where’s my coffee?! You’re a damn robot; it’s not like you’re busy or something!” Definitely a cool feature though.